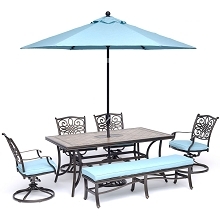 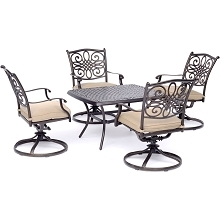 Take comfortable dining to the next level with the Monaco 5-piece high-dining set from Hanover. 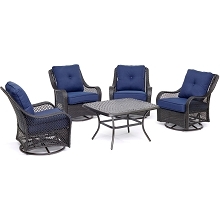 This set includes four sling-back chairs and a 56 in. 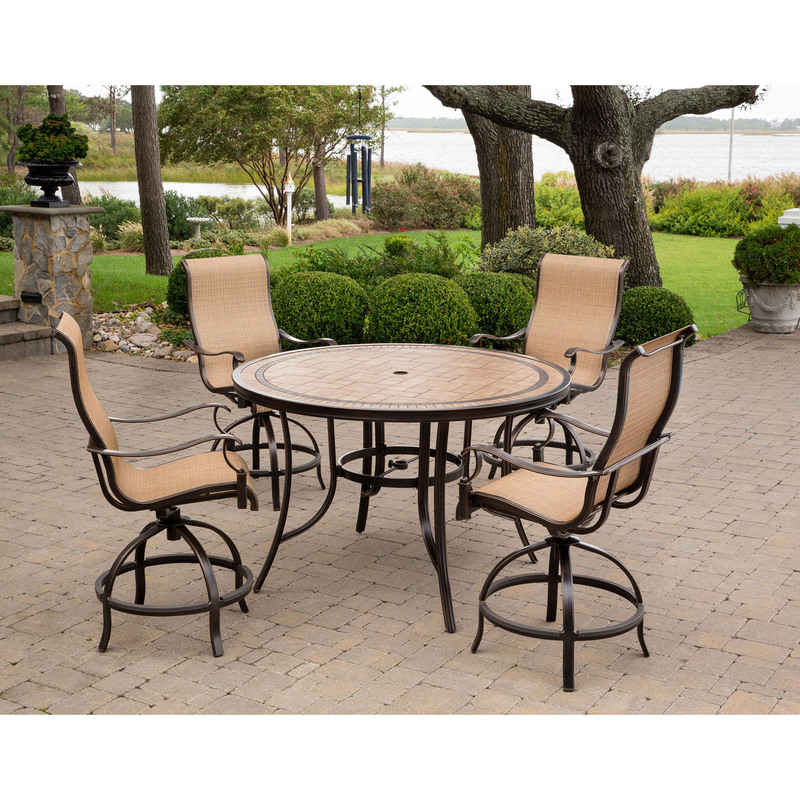 tile-top table– each standing at a trendy counter-height. 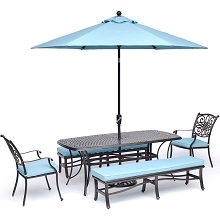 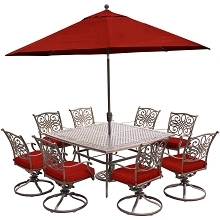 The chairs and table are constructed with heavy-duty aluminum frames and dressed with elegant cast details. 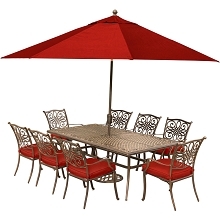 Contoured sling fabric is featured on each chair providing maximum durability and comfort throughout the meal. 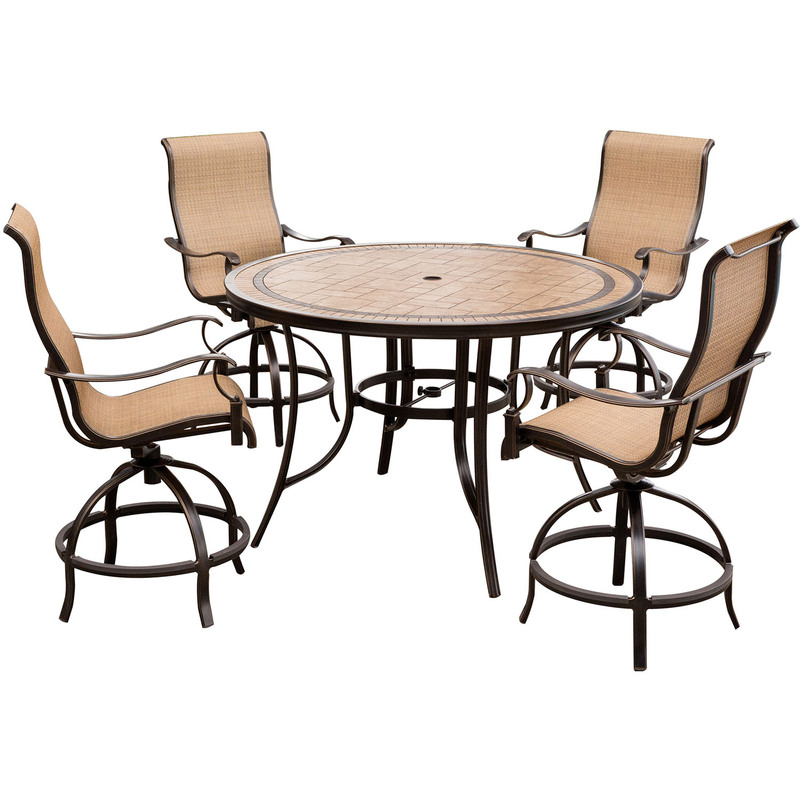 The round cast-top dining table is covered in neutral-tone porcelain tiles and offers ample room for food and beverages as well as a generous amount space for entertaining guests. 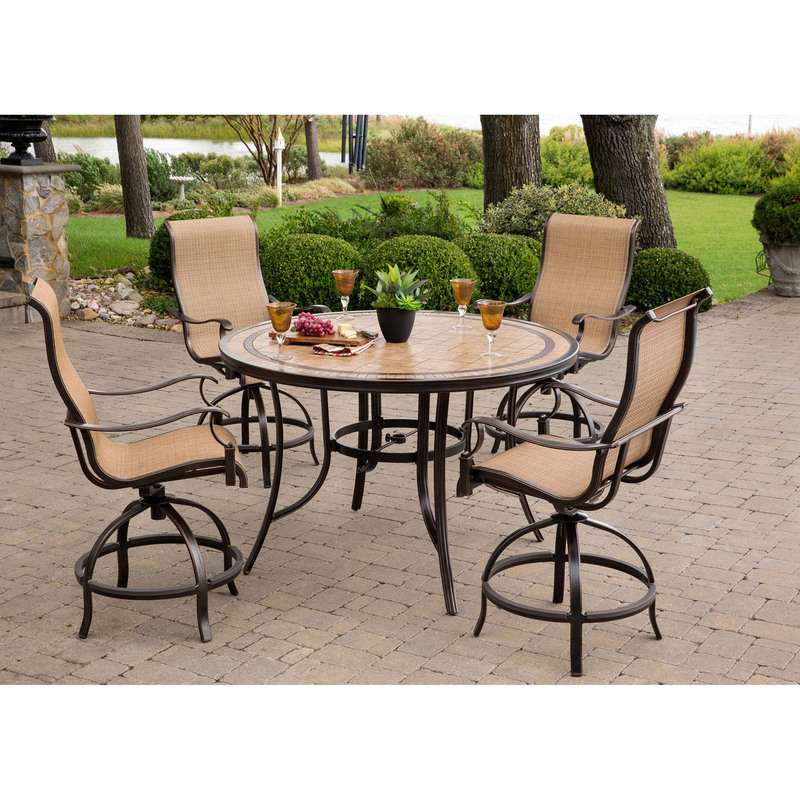 Built-to-last, this high-dining set will bring each meal to new heights and greet your guests with the ultimate comfort.